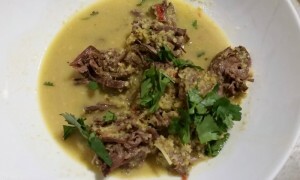 I love this Beef Rendang Curry (and Derek LOVES it too) which I’ve cooked with our silverside cut just this week. Before I share that recipe with you though, let’s look at the different options for preparing a silverside. Silverside is a very lean cut, so not a completely foolproof cut to cook. 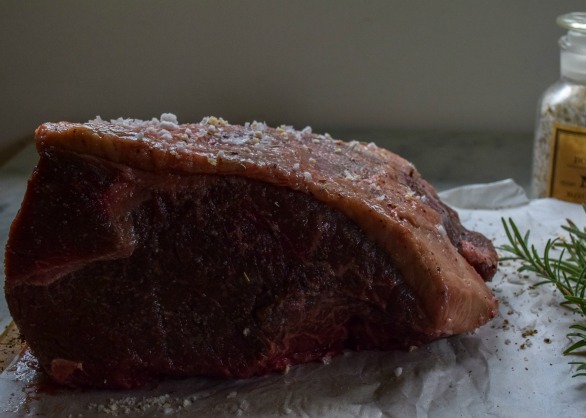 Fat is delicious and is forgiving to the cook – and there’s not much of it with the silverside. This is why you will usually find that commercially corned silversides contain nitrate preservatives to help affect the muscle fibres and to hold more water in the beef, making a more moist meal, with red colouring also added to give the beef a pink appearance. But, no preservatives with The Conscious Farmer! So what are the cooking options then? Serve with a white sauce. I am about to embark on corning my own silverside, in the salty brine (and no preservatives), so I will report back on how it goes! You can roast your silverside in a very slow oven. As I mentioned, silverside is a very lean cut (which will mean it is not as moist as other cuts), so it is important to cook it slowly and to only cook to medium (at the most), which will help to keep it moist for eating. However, one of our customers has another way which we haven’t yet tried (but intend to), and that is to roast this on a really high heat, but only for 40 minutes and then let it rest. Either way, rub with oil or tallow, sea salt and pepper before roasting. Serve as you would a roast with all the crispy root vegies, and if you like – with Derek’s Gravy. Then great sliced, as cold meat, for lunches. 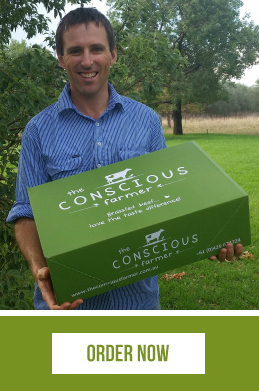 No nasty preservatives in a Conscious Farmer silverside! 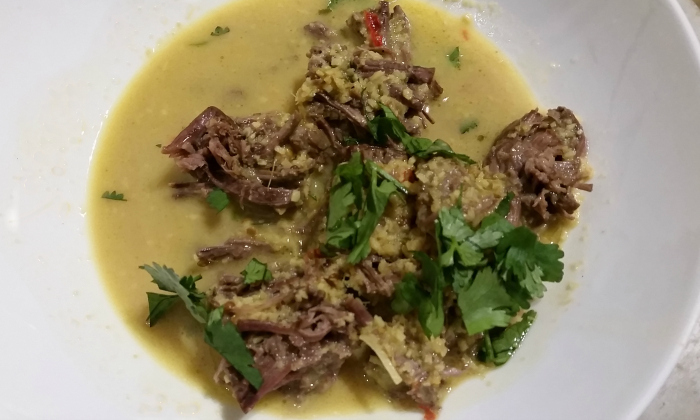 I recently cooked a silverside as a Rendang Curry and is the recipe that I will share with you today. 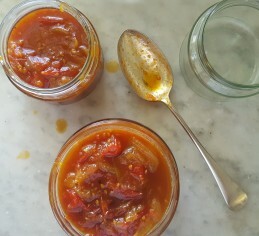 It’s a great recipe to use with a couple of cuts from our hampers. You could choose to use a brisket (which you can opt for in our Double Nourish hamper, or larger hampers) and this would be amazing, as brisket has some fat lines through it, which melt down, make it juicy and impart beautiful flavour and allow the meat to be easily pulled into its long fibres that you may be familiar with from eating pulled beef brisket or pulled pork. You could also choose to use a silverside for this recipe. I love the flavours in this dish – ginger is such a fresh, lovely spice to cook with and the kaffir lime leaves also give the dish a beautiful fresh flavour which balances out the heavier coconut milk used in the dish. 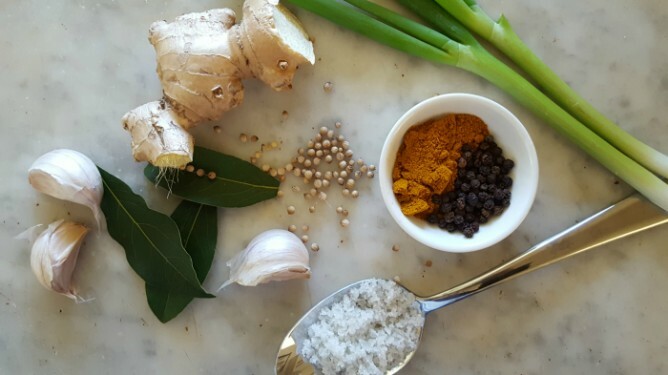 Not to mention the health benefits of many of the wonderful spices and herbs – ginger, garlic, chilli and particularly turmeric. Turmeric contains curcumin, a compound that has been reported to be anti-inflammatory, anti-depressive and to have cancer treating properties, among other things. Cooking the silverside is very easy. First however we make the curry paste (which is also simple, it just has a few ingredients). I use a stick blender to make the curry paste with. Mine has a container that attaches on the bottom. If you don’t have a stick blender in your kitchen – I highly recommend it, and they’re quite affordable! Also really great for blending soups, chopping nuts etc. 1 stalk of lemongrass – the bottom white part (having had my lemongrass plant die (I know they seem unkillable! ), I used some lemon rind). Pop the pepper and coriander seeds in a frypan and cook on a medium heat until fragrant. Make sure you give the pan a swish around, so as not to burn one side. Remove and add to the blender container. Add the coconut to the pan and toast – make sure you keep an eye on this one, as it can burn quite quickly. Remove and add to the coriander and peppercorns. Add the rest of the ingredients and blend. You may need to add a little more oil (or even a dash of water) to make the ingredients blend until smooth. When I make this, I cut the silverside through twice so I have a number of pieces of beef that are a few inches thick. This helps the curry flavour to get into the beef. Cut with the grain on this occasion – so you have the muscle fibres in a way that you can rake it with a fork when cooked. Briskets come as a longer piece of beef, so are fine as they are. Rub the beef generously with salt. Place a pan on the stove top and heat tallow or oil in the pot. 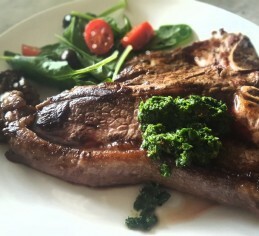 Brown your grassfed beef and remove from the pan. Cook the curry paste until fragrant and then add coconut milk, water, kaffir lime leaves, lemongrass and fish sauce. Bring to the boil, move to casserole dish and add the beef. Place in the oven at 180oC. Cook for 2 hours with the lid on. Then turn the beef, remove the lid and roast for another hour (or until tender). Add the lime juice and stir in. Remove beef and either slice or rake into fibres. Arrange in bowls and pour the curry liquid over the top. And there you have it – serve with coriander leaves on top. Yum! Mmmm…Derek already made a start on this before we decided to write a blog! Stay posted for my experience of corning silverside the healthy way. 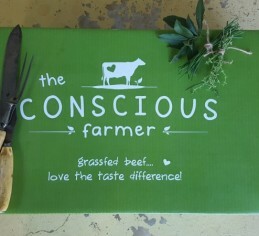 Remember, you can enjoy one of our lovely grass fed beef hampers delivered to you too!